Inspired by the Great Gatsby era this decadent suite of wedding stationery captures lavish 1920′s detailing. Each item of stationery is ‘framed’ using an intricate symmetrical border, combined with bold exuberant shapes and rich colours. A monogram is created using deco style fonts and geometric shapes and is used across the range. 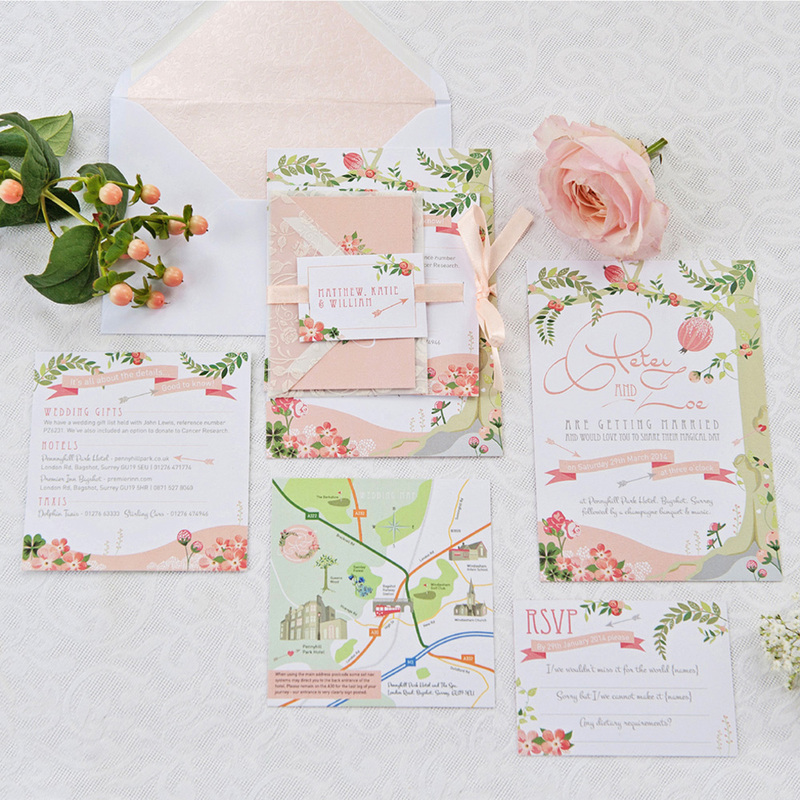 The main wedding invitation uses a pocket fold format containing information inserts and the RSVP with its luxury shimmering gold return envelope and optional matching address sticker. 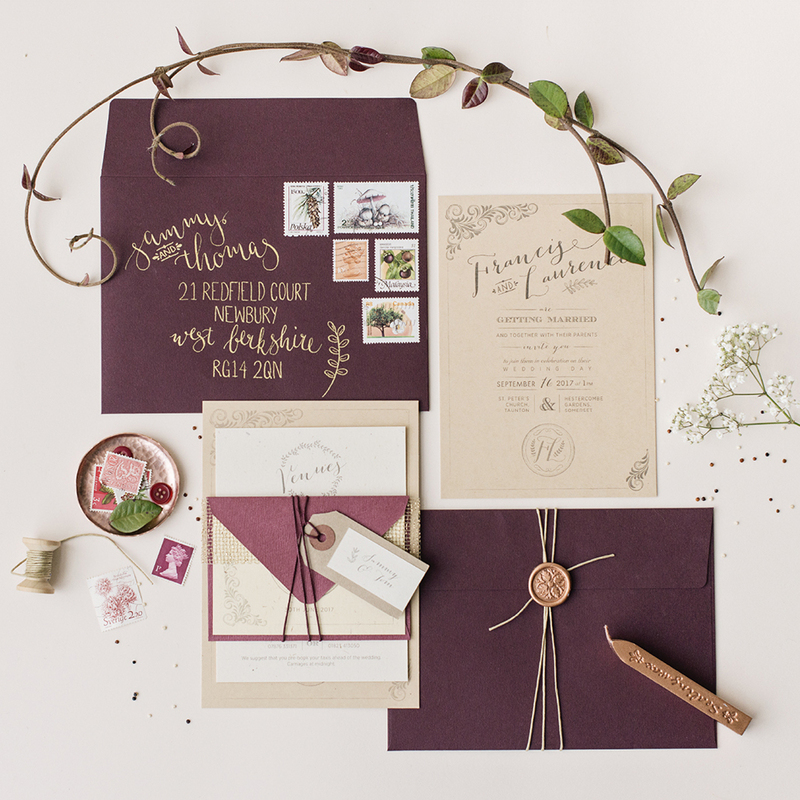 The invitation comes complete with a white postage envelope. 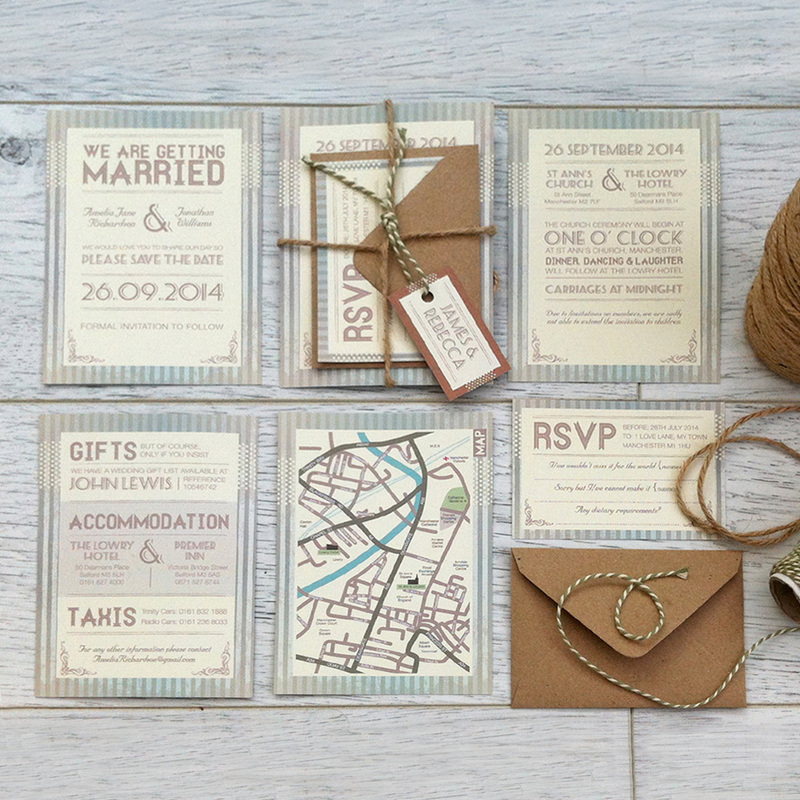 To see this wedding stationery suite in full please see the ‘Manhattan’ collection in the wedding portfolio pages. 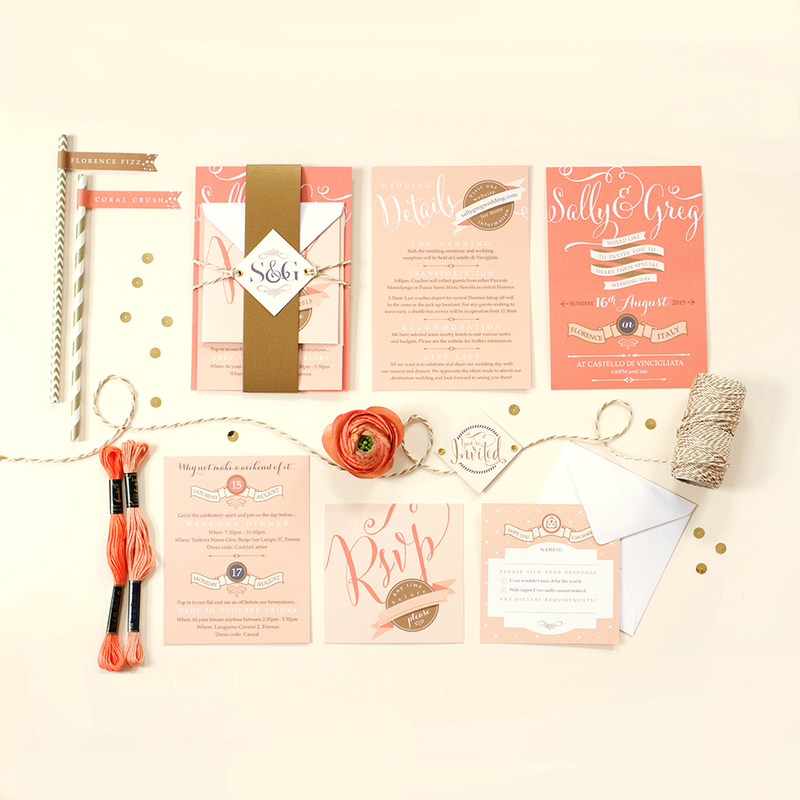 Sample packs include: Save the date, wedding invitation, information insert with map, RSVP with luxury shimmering gold envelope. Sample packs cannot be customised to your details. 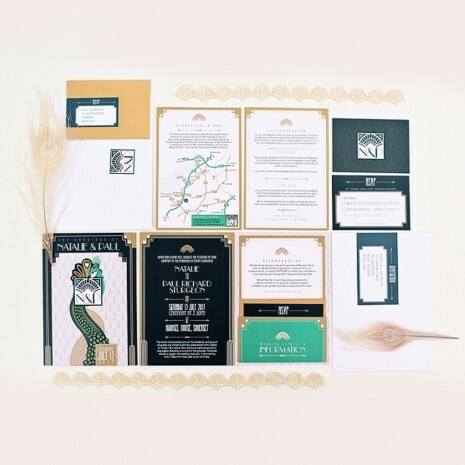 N.B If you then chose this design for your wedding and place an order in this range your sample pack cost will be redeemed from your final invoice.